SmartEDGE Dashboard – Free access to the Association PLUS membership of the SmartEDGE Dashboard is provided to the first 50 clubs that sign up. There are still spots remaining! 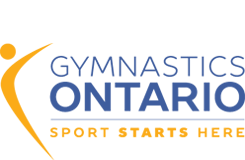 To request complimentary access to the 3rd Level Consulting SmartEDGE Dashboard, please contact Membership Services at membership@gymnasticsontario.ca. Watch the short video below showing what is included in the SmartEDGE Dashboard Association Membership.